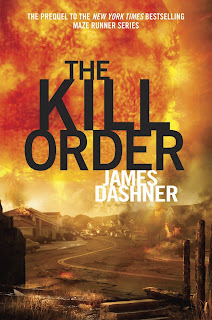 The book “Kill Order” written by James Dashner was a terrific fast paced prequel to the other three “Maze Runner” books. I am reviewing some elses book review on this great book. I sort of disagree about what the Jared said about Mark, how he was a well-formed character and will be one of the most memorable protagonists. I thought he was very round because you always knew how he felt and he was definitely not a stock character. I don’t think he will be a very memorable protagonists though because he seemed exactly like Katniss (“Hunger Games”), Thomas (“Maze Runner” series) and Stephen (“Eleventh Plaque”) because they were all put into mature and out of the world situations. I think the reviewer was right on though when he said, “James Dashner was able to put enough description in not only the setting, but about Mark’s thoughts and other’s thoughts.” Here is a quote from the story of Mark’s thoughts: “Mark had reached the end of his patience. This was completely lunacy as far as he was concerned, and there was no way to deal with it rationally. He looked over at Alec, and he could tell by the fire in the man’s eyes that he was ready to take another shot at escape. Their captors were still kneeling, faces lowered in some kind of sick worship of the man writhing in pain. It was now or never.” I disagreed when the reviewer said that the theme is “Nature is not at the mercy to humans because of the sun flares and the virus.” The reason why, is that the government was the reason for the viruses and it was everyone’s fault for the sun flares. Overall I believed we both enjoyed the book and wished that another book for the series was going to be written. I thought the “Kill Order” was amazing because I was always wondering what was going on when Thomas was in the maze. The book also describe the lives of some young adults living through the devastating disaster. Some questions that I had at the end of the third book were, “what was going on while Thomas was in the trials?” and “was there ever a cure created?” and this book answered many of the various questions I had, which made everything come to together and make sense. Something that annoyed me was that many other characters other than Mark and Alex were very flat and you barely knew anything about them, like Darnell, Misty, Trina and many more. A theme I incorporated from this story is that our human actions are making nature turn on us, because if it weren’t for the humans in the book, the world would be way better. I honestly think that the world in the book could definitely be like ours in the future if we don’t change our ways of living. The reason being is that we’re the reason for all the pollution and pollution is wrecking our Earth and its ozone layer, This is allowing more and more harmful rays from the sun to seep through even more, which would warm up our planet greatly and also allow more UV rays to enter our Earth. This would cause a lot more cancer to occur in humans. Also many resources each day like water, food fossil fuel and etc., are getting depleted so without them our whole world would start to collapse exactly like the world in the “Kill Order”. I loved how the plot contained lots of action and suspense, but also how it tied into the first book of the Maze Runner series perfectly. I would recommend this book to any youth who appreciate action packed stories and have read the three books previous in the series due to the fact that there will be some words and things you won’t understand like a flat trans and a Berg. 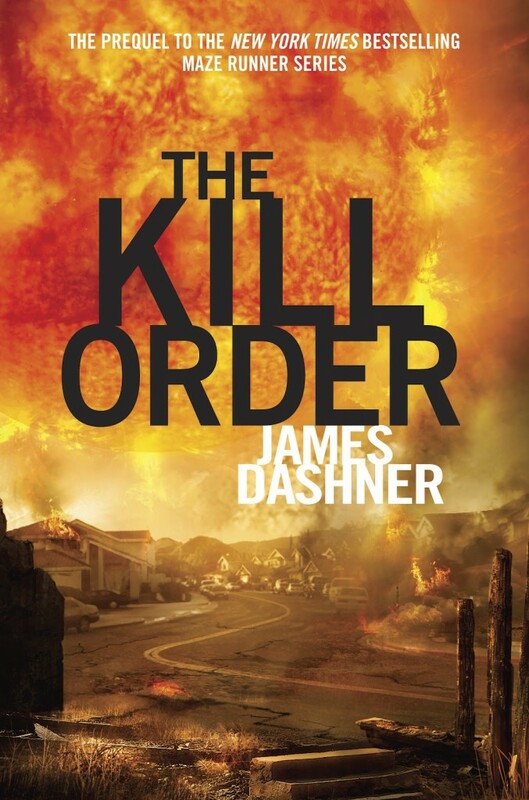 Overall the Kill Order was a great prequel to the Maze Runner series. It had such a creative surreal setting that paints terrific pictures of the adventure into your mind.